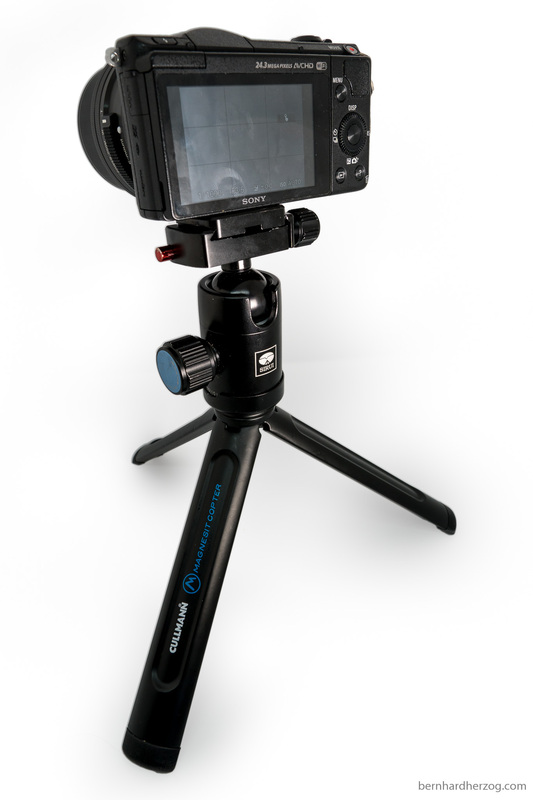 Your life gets much easier if you are able to mount your cameras to and remove it from a tripod quickly. I am using plates and clamps of the Arca-Swiss standard. 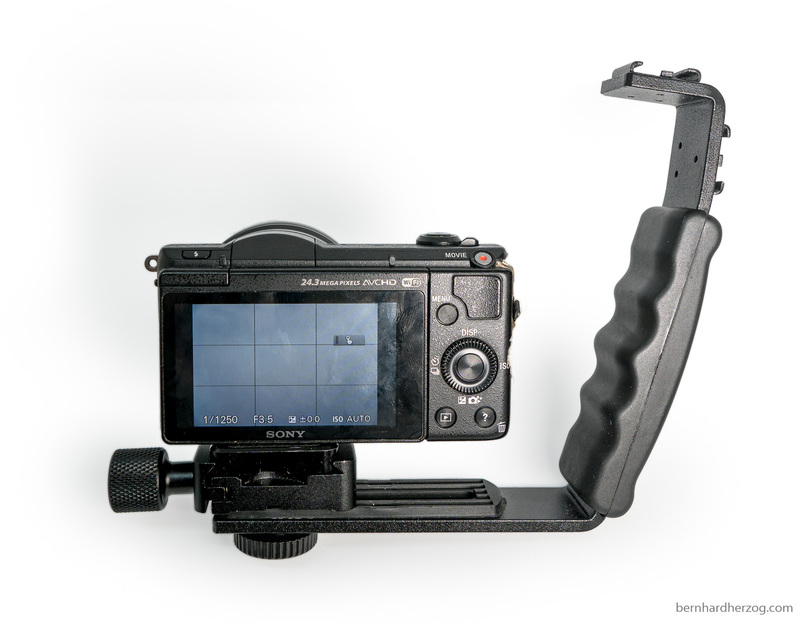 There is also the Manfrotto system, but I did not want to be locked into one single manufacturer. Please read on to see what I recommend. 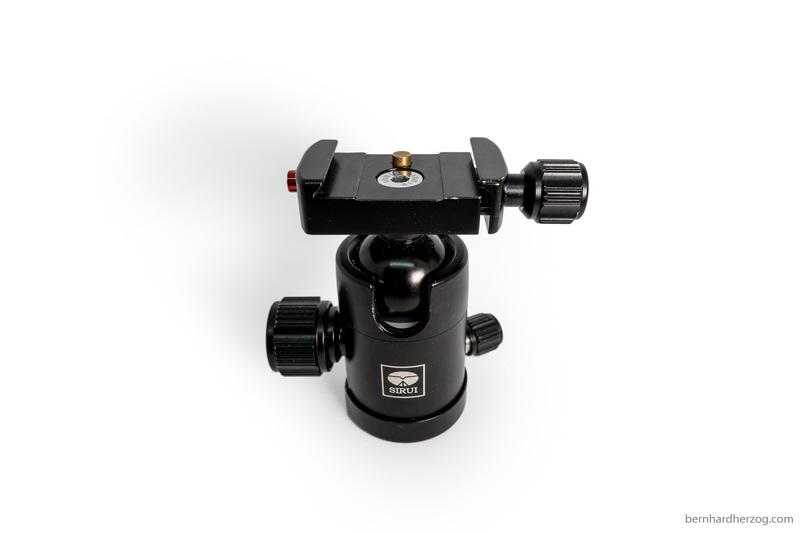 I use the clamps to quickly mount my cameras on tripods, backpacks, gimbals and L brackets. It is very important for me when I want to make pictures in the dark or when I want to shoot stable video. On the picture I have mounted the tripod head on a Mini-Tripod from Cullmann (Magnesit Copter). 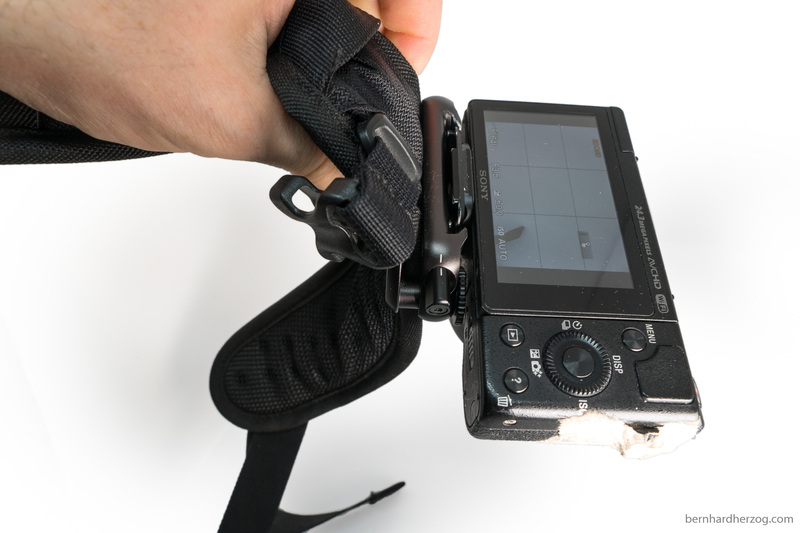 I put it there when I want to have my hands free to change the lens etc. So I can quickly remove it when I want to snap a picture. I use it if I want to mount things like audio recorders and the hot shoe mount on the camera is already occupied. It also makes it more easy to hold the camera still. The plate to the left is the one of the Peak Design Capture Camera Clip. It has a square shape so I can slide it into the clamp from both sides, very nice! It is also very slim and lightweight. 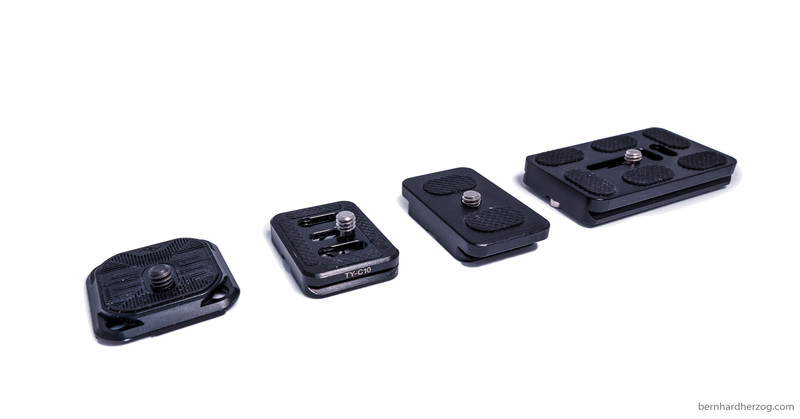 Actually the other plates do not work with the Peak Design device because they are not slim enough and scratch its surface. Unfortunately I need an allen key to put it on the camera. I have it on my camera all the time anyways. 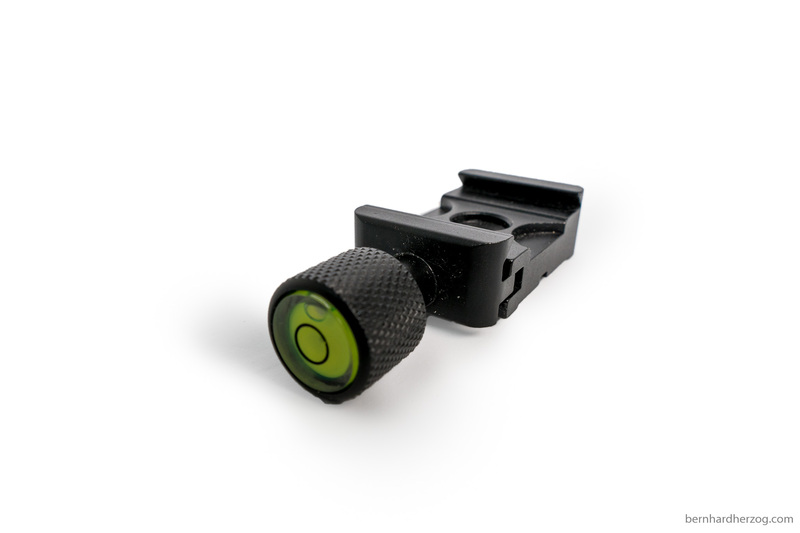 The second one is from the Sirui tripod. It is also very nice because it is very lightweight. I changed the screw to some kind of a winged nut so I can fasten it with my hands and don’t need a coin. The third one is a simple plate. The fourth one is a more longer version. It is convenient if I want to change the position of the camera by sliding it forward and backward. 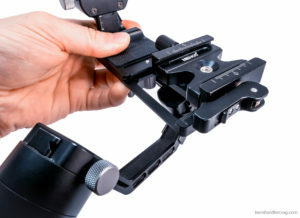 The clamp on the tripod head has a safety button. If I open the knob I cannot slide the plate out without pressing the button. 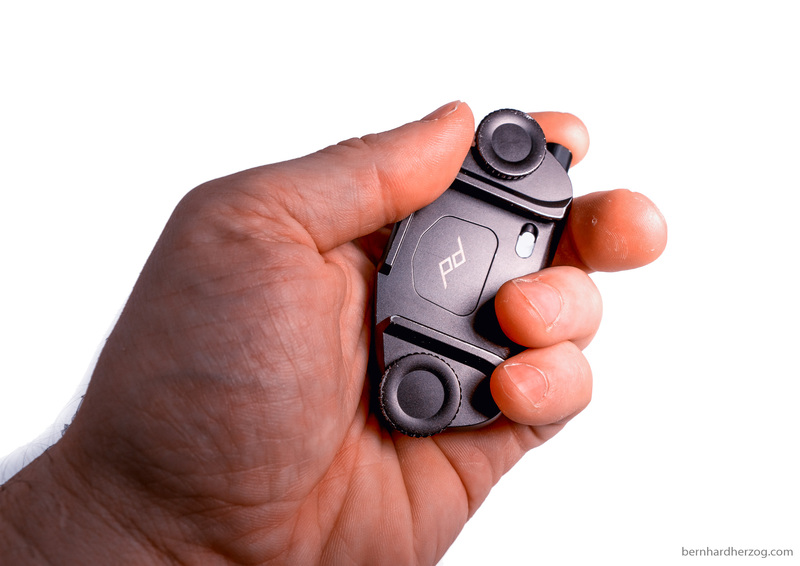 The Peak Design Capture Camera Clip has a release button. It can be turned to prevent the button from being pressed. It has a knob to tighten it and a lever that is used to open the clamp more quickly. There is a small slider on the lever that has to be pulled to open the lever for safety. This clamp is fast to open. I like that both the lever and the knob are level with the clamp, so I can mount it on flat surfaces. One drawback is that to balance the gimbal I have to open the lever. This changes the weight distribution because the lever has some weight on it’s own. But once I have balanced everything I can quickly take out the camera. It has a bubble level. 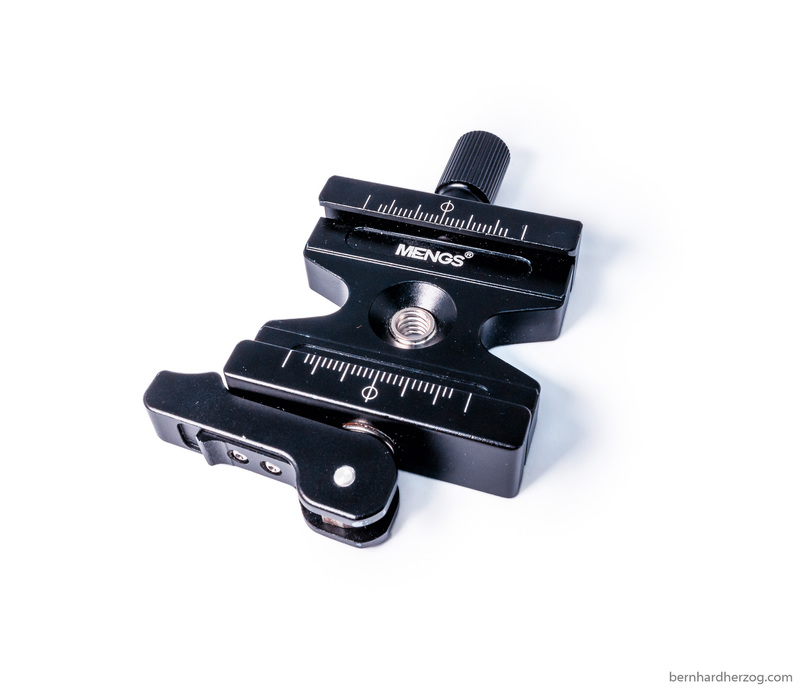 The knob is higher than the clamp so it is more difficult to mount on flat surfaces (like on a gimbal). I am happy with the setup I have right now. I can put my camera everywhere I have mounted a clamp and also remove it very quickly. Before I had different systems, for example I had a Gorillapod and I had to screw it on everytime because it uses it’s own system. I can highly recommend to settle on one system and use it consistently.